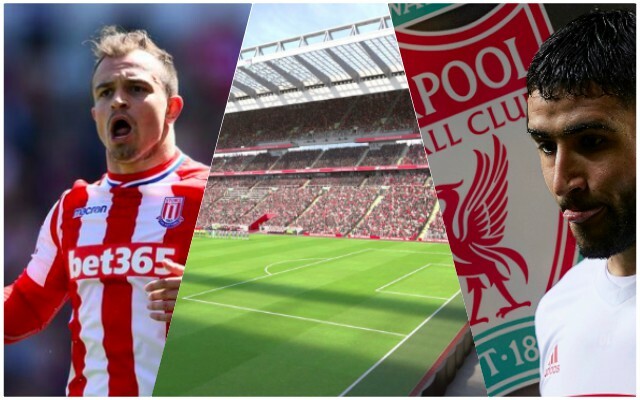 It looks like a deal for Xherdan Shaqiri could be finalised this week. The 26-year-old Swiss is available for £13m following Stoke City’s relegation and will add a versatile attacking bench option for Jurgen Klopp. But Andy Hunter in the Guardian suggests he’s not an alternative to Nabil Fekir, who ‘may’ still sign for Liverpool after the World Cup. Certainly not a Fekir alternative. A deal for Fekir was done, barring the announcement, before he headed out to Russia with France, but Liverpool pulled out due to an issue with his knee that they found after a medical. There remains a possibility though, according to Hunter, that Liverpool could revive a transfer – with Fekir already having his heart set on an Anfield switch – with his own chairman Jean Michel Aulas admitting we’re his ‘dream club’ [Star]. We reckon that if Liverpool buy Fekir, a player capable of being deployed in the wide areas but also as a creative no.8/10, our business for the summer will be over. Liverpool fans want a new keeper, but as of yet, it doesn’t look like Loris Karius will be directly replaced, although we find this is bizarre as the rest of you. The Fekir deal now depends on whether Lyon will be willing to reconstruct financial terms or whether they’ll simply look to sell to a higher bidder.